In a star system dominated by the brutal Vathek empire, eighteen-year-old Amani is a dreamer. She dreams of what life was like before the occupation; she dreams of writing poetry like the old-world poems she adores; she dreams of receiving a sign from Dihya that one day, she, too, will have adventure, and travel beyond her isolated moon. As Amani is forced into her new role, she can’t help but enjoy the palace’s beauty—and her time with the princess’ fiancé, Idris. But the glitter of the royal court belies a world of violence and fear. If Amani ever wishes to see her family again, she must play the princess to perfection…because one wrong move could lead to her death. Can I just start by saying that I bought this book purely because of the beautiful cover. Seriously, look at it! I went into it totally blind without even reading the synopsis, so I had no idea what to expect. Mirage is part one of a three part series, and follows the story of Amani, a young woman who is kidnapped by royalty to serve as an expendable body double for the princess in potentially risky situations. The book definitely feels like the first installment of a series in the worst possible way; it just feels very incomplete in a way that’s difficult to articulate, and I have to put that down to Daud working to set up the events of the next two novels. This actually wasn’t a huge issue for me, as I like some of the themes Daud is playing with, and I’m hoping that the payoff will be worth it in later books. This installment was super character-driven, which isn’t a huge issue in and of itself, but I’m hoping the sequel is a bit more plot-heavy. It’s very obvious that the author is enamored with worldbuilding, and I do think the novel shines in that regard. Daud pulled from her own Moroccan heritage for inspiration in regards to establishing a culture in the novel, but she has set it in a science fiction environment, complete with imperial droids and colonies set up on moons. Mirage explores classism, colonization, and power dynamics in a really interesting and engaging way that meshes well with her worldbuilding. We see familiar political and cultural themes from the real world, and I think all the best science fiction does this. Lighthearted adventures in space are fun, but substance like this takes things up a notch. Mirage also begins a romance subplot which will likely continue in the later books, and this was my least favorite aspect of the book. Like so many books in the young adult genre, Mirage seems to want to jump straight into the characters being totally enamored without much thought given to convincing the audience of this. Your mileage may vary here, but personally I was totally uninvested in this part of the story, and I was far more interested in exploring Amani’s fraught and complicated relationship with the princess. I think more pages could have been devoted to showing the evolution of that relationship and Amani’s begrudging sense of sympathy for the princess, who she realizes has her own unique set of problems. Princess Maram is a deeply flawed person, and it never feels like Daud is trying to make us forget this, but her treatment of this character is nuanced, which I really appreciated. Maram is only half Vathek, a child of the Vathek king and the unwilling queen of the conquered people as a means to solidify his claim to her land. She is resented by her mother’s people as a symbol of the conquering class, and she is viewed with contempt by her father’s people for being an “impure” half-blood. Despite her position of privilege, she is without a place in the world (or entire star system, in this case) and she is in that sense a tragic character. I wasn’t over the moon about this book, but I definitely enjoyed it enough to know I’ll pick up the next installment. My hopes for the next book: a bit less time in Amani’s head in favor of more plot development, make me buy into the romance or drop it altogether, and some kind of redemption arc for Maram. Amani and Maram should align their interests and take down the whole wretched system. Thank you for reading! 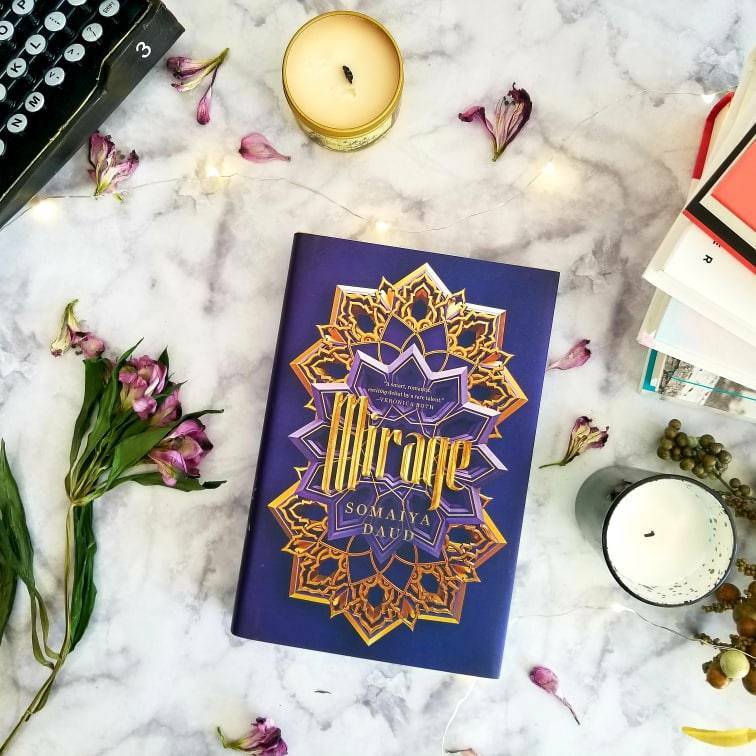 If you’ve read Mirage, please feel free to share your thoughts in the comments!